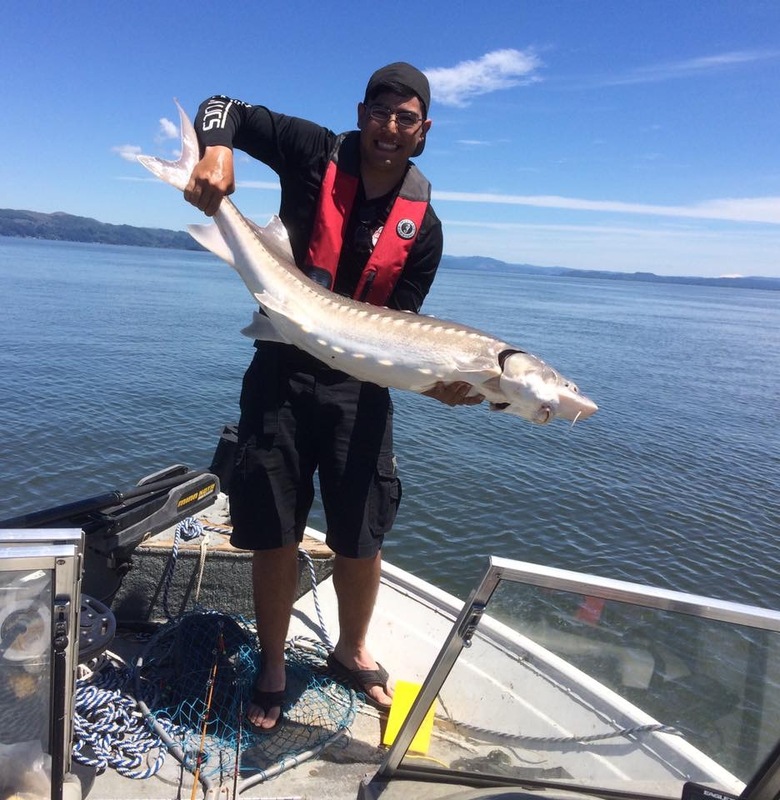 White Sturgeon are some of the oldest freshwater residents in our region. Descendants of the dinosaur, sturgeon can be over 100+ years old, measuring over 15 feet in length and weighing over 1,000 pounds. Known also as the Freshwater Marlin, these giants can display some exciting acrobatics and powerful runs. White sturgeon are primarily freshwater dwellers, so our hunt for them takes place on the Columbia and Willamette Rivers. At anchor, we will be using heavy gear and tackle with a plethora of cured baits to land these fish.